Games publishers would just love it if we’d pre-order some of their games. They’ve made that abundantly clear in the last few years, with a trend toward rewarding people who buy a game before they know it’s any good. But it’s not really working. Activision told investors they’ve seen an industry-wide decline in pre-order figures. Activision Publishing boss Eric Hirshberg said the company had “reset expectations” for pre-orders after observing a “secular downturn”. 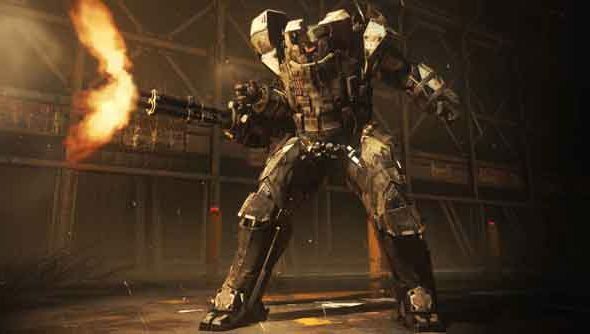 Call of Duty is “not immune to that” – but the results of an internal consumer study have led the publisher to be confident about the prospects of Call of Duty: Advanced Warfare. “We still expect the Call of Duty to lead the industry in preorders once again this year,” said Hirshberg. Publishers like Activision have previously used pre-order sales as a key metric to work out how popular a game is going to be, and consequently persuade retailers to sell it. From here on out, they’ll have to rely on omens like extreme weather change or unusual animal behaviour. What was the last game you pre-ordered? Or do you Kickstart these days instead?